1. It is safe, comfortable and fast to remove the freckle and moles without any side effect. 2. Directly charge by USB line, easy carry and easy operate. 3. Unique technology makes it remove spots without hurting the normal skin, no bleeding and little pain. 4. Lower level is used on spot and freckle and strong level is used on mole and skin tags, etc. 5. Big LED display shown strength levels. The working principle of plasma skin freckle pen is similar to that of carbon dioxide (CO2) laser beauty machine. 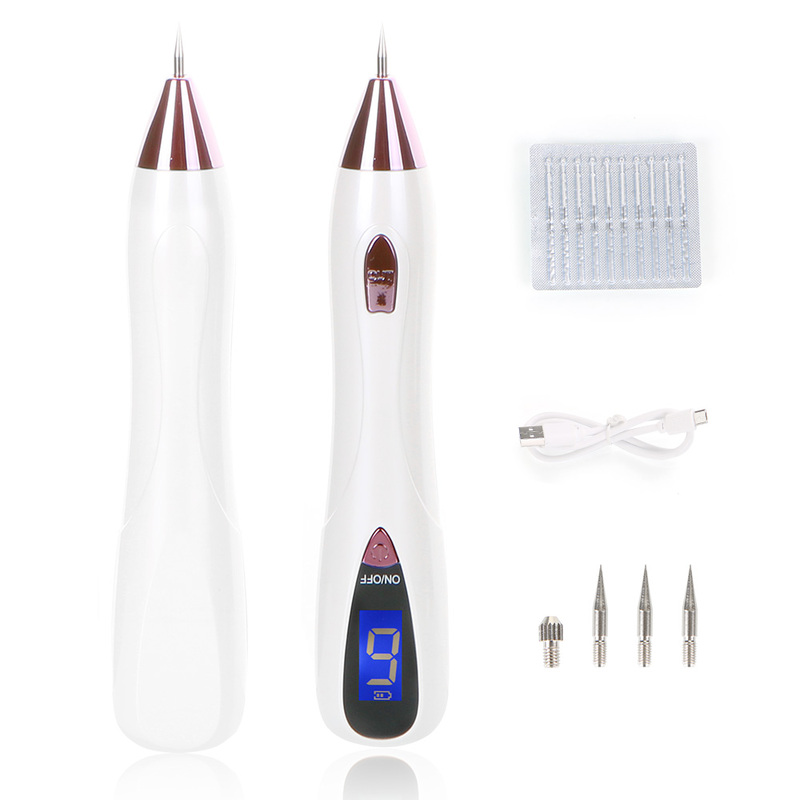 It uses a new generation of high-efficiency ability conversion material and chip-controlled low-temperature high-frequency plasma micro-discharge technology to make the tip of the freckle pen and the skin poor. When dot mole, pay special attention to distinguish the mole extent, some mole grows on the skin surface layer, and root growth of moles, deep subcutaneous tissue, including using the needle at a time when the end of the cut surface of moles, the best wy to burn in small squares.If growth relatively deep mole, besides should avoid inflammation after processed, had better be in 2 to 3days before the wound healing nourishing cream coated with a small living cells, can prevent skin concave hole, when wiping nutrition frost, should pay attention to the wound with inflammation of the situation, if is not to wipe.